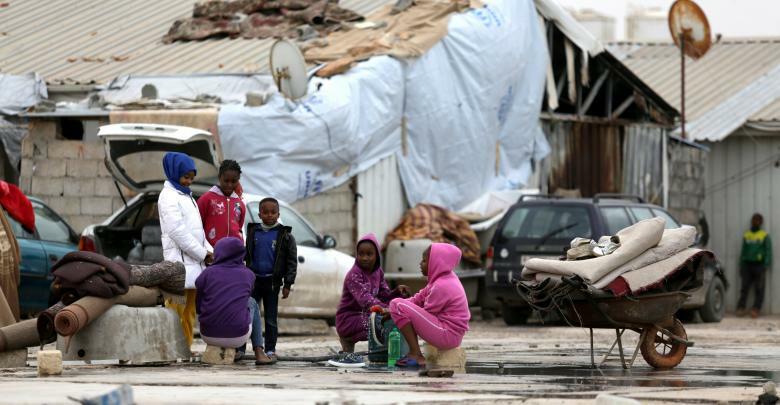 Geneva- Forced evictions at gunpoint of Libyan families on Friday, along with intimidation arrests and looting are deeply concerning, warns the Euro-Mediterranean Human Rights Monitor. These families have already been forced out of their homes in Tawergha town, located south of Misrata District. Forcing them again would constitute a serious violation that may amount to a war crime, adds the nonprofit watchdog. On August 10, an armed group of about 60 people transported in 20 vehicles attacked at dawn a refugee camp populated by Libyan families already displaced from the town of Tawergha, arresting more than 100 people, including some elderly, expelling the rest under indiscriminate shooting while also stealing their property. Witnesses interviewed by Euro-Med’s team said that the vehicles belong to the Government of National Accord (GNA), and the men leaving these vehicles must have been members of the Central Security Department, Abu Saleem branch in Tripoli. The armed group reportedly carried heavy machinery with the intention of demolishing the camp, while activists spoke of endeavors to seize the camp’s lands in order to sell the property. With the Libyan Civil War erupting in 2011, residents of the town of Tawergha have fled their homes in fear of persecution or reprisals because some members of the town were involved in the events that led eventually to the fall of former President Muammar Gaddafi. Most of the town’s residents have fled to various parts of Libya, with most of them living in makeshift tents in desert areas or in private housing that lacks the basic human needs. Testimonies collected also indicate that armed groups have been encroaching on IDP camps on a systematic basis to blackmail the IDPs and control the camp, especially in light of the GNA’s inability to take effective measures in security situations, said Mirah Bishara, a Euro-Med’s researcher. Article 8 (2) (e) of the Rome Statute lists in paragraphs v and viii states that: "Pillaging a town or place..."; or "Ordering the displacement of the civilian population for reasons related to the conflict..." constitute war crimes. Article 49 of the Fourth Geneva Convention of 1949 prohibits forced or individual forcible transfers of persons, or their expulsion from their areas of residence to other lands, unless this is in their interest in order to spare them the dangers of armed conflict. What happened recently in this camp emphasizes the need to implement the terms of the agreement signed on 22 June last year between the groups that govern both Misrata and Tawergha, which aims to achieve reconciliation between the parties, compensate the victims and ensure IDPs return to Tawergha. Euro-Mediterranean Human Rights Monitor calls on the United Nations to assist the Libyan authorities with their responsibilities regarding the displaced by providing shelter and protection to those forced to leave the camp. Euro-Med Monitor also calls on the parties concerned to find sustainable solutions to all displaced people in Libya and to ensure their return to their homes as soon as possible.